I am excited to be moving back into my house today! It has been a LONG and EXHAUSTING week. This $25 v-neck sweater comes in many colors - but I love this blue color. This chenille cardigan is 50% off. 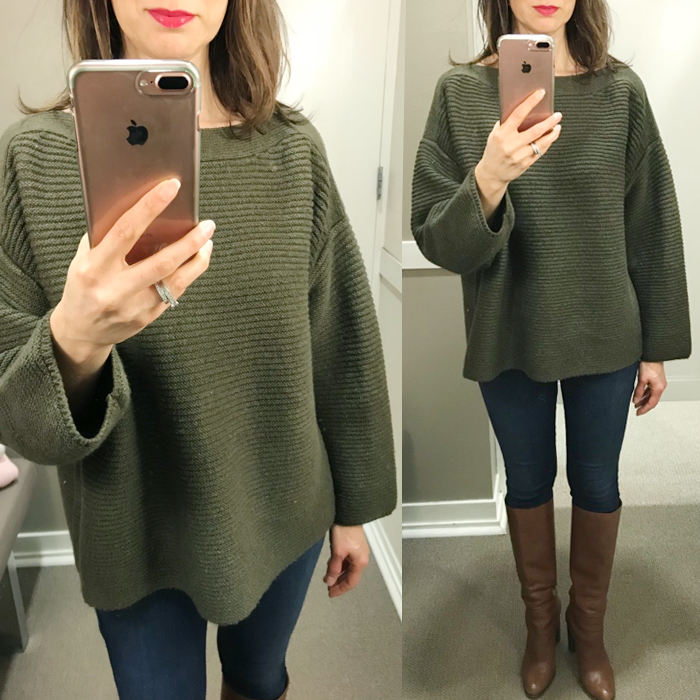 Love this grey sweater and it's $18! This dress has a great graphic print - and would be perfect for work with some tights, belt, and cardigan. This striped sweater comes in three great colors - and is $35. This is a cute striped top with bell sleeves that is on sale for under $30. I love this red wool trench coat - great statement piece for $80. This is an awesome pleated skirt. I love this "heart" phone case - perfect for Valentine's Day. What a fun cardigan with tie sleeves - and it's 40% off. I shared more weekend sales HERE. And, $25 sale sweaters HERE. 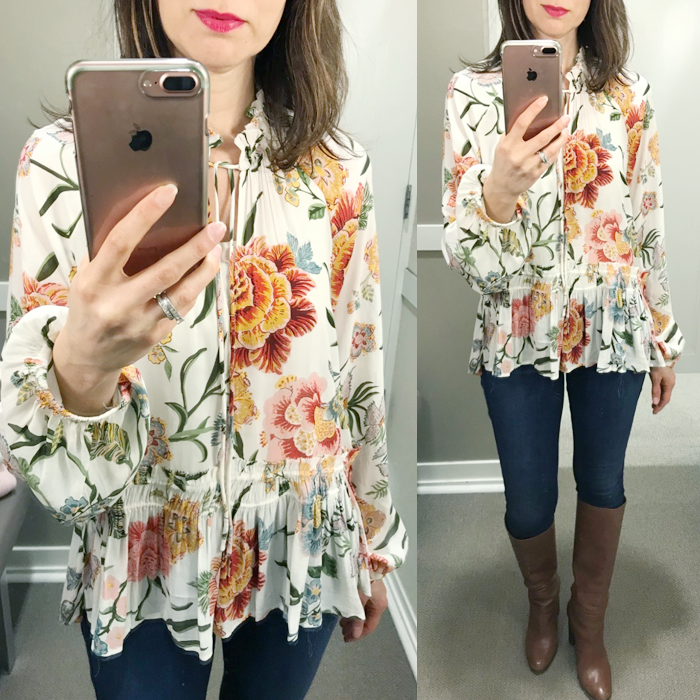 This floral blouse is one of my favorites - I have been wanting to get to the store to try it on. I have a feeling it will sell out - and at 50% off - now is the time to buy it. 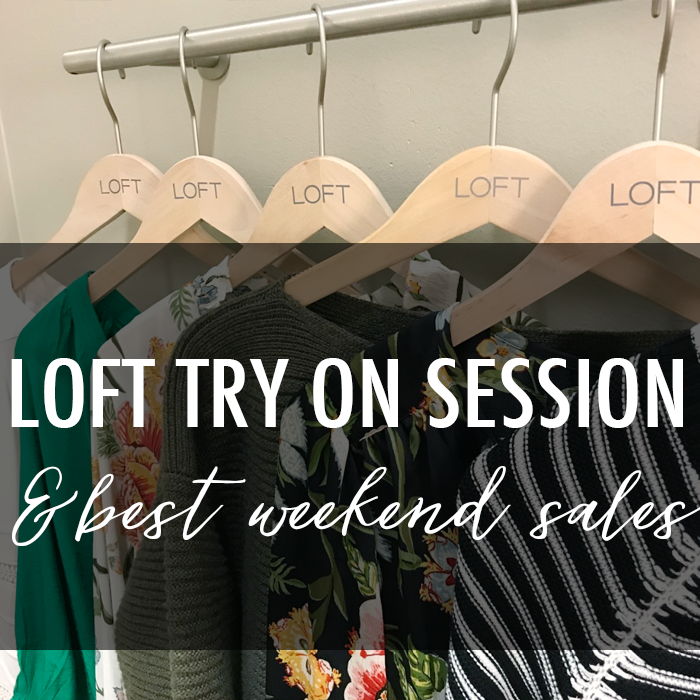 I went to Loft yesterday to return the OTS sweater and ended up leaving with 3 more pieces! Ugh!!! I wish I had the resolve to go in, make a return and LEAVE. But of course with a 50% off sale how could I? 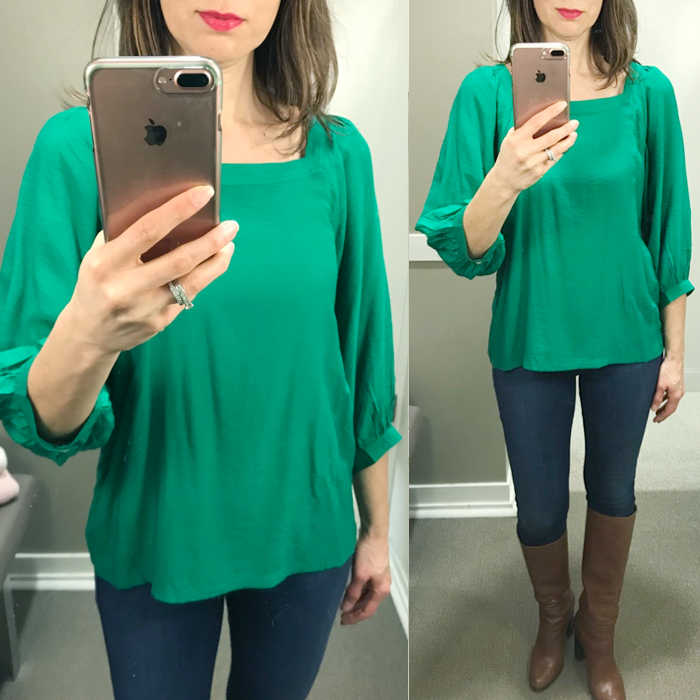 I love the green color in the square neck blouse - so vibrant and pretty!